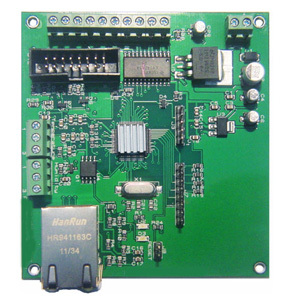 The easiest way to monitor and control power for the MSO. Sensors connected to this board can send you an email if anyone opens the MSO cabinet; You can remotely monitor the temprature and turn on / off air conditioning, lights, power cycle servers, all through your browser; Set the timer in the EEAM to turn your devices on and off on different schedule; Let the temperature sensor connected to EEAM to turn on and off air condition in your server room at certain time and temperature setting; use the humidity sensor to control your storage humidity automatically. 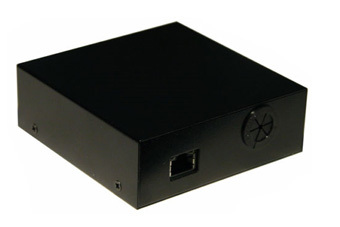 EEAM is the solution with network connection or standalone. Complex actions can be programmed by this device over a browser. It can be a 20 timer controller; It can also be your temperature monitor and controller, or humidity controller; or Boolen Run Engine controller; or all of the above at the same time. With network connection, you can use this device as a intrusion alerting system to send email to your cell phone, at the same time as remote temperature monitor and air conditioning control. You can use the analog and digital inputs to monitor battery level, system volatages, and other sensors.The limitation is your imagination. EEAM has 8 digital inputs, 3 analog inputs 0-10V range(based on 10bit A/D converter full scale native 0-3.3V through resistor network), up to 8 optional DS18B20/DS1822 based temperature sensors, one optional Honeywell HIH-4000 series humidity sensor, 20 custom definable timers to combine and define its 8 digital output in any sequence of those combined input. Its internal clock obtains the precise time from Internet time servers (NTP). When each pre-programmed action takes place, it sends an email notice to you. You can also bypass the predefined logic to force any output ON or OFF. Built-in 10 BaseT network interface DHCP client and web server provide easy connection to any existing network.